We've been finding lots of lovely images of French lace-makers on the web - most of them are from old post-cards. They are in Le Puy-en-Velay in France. 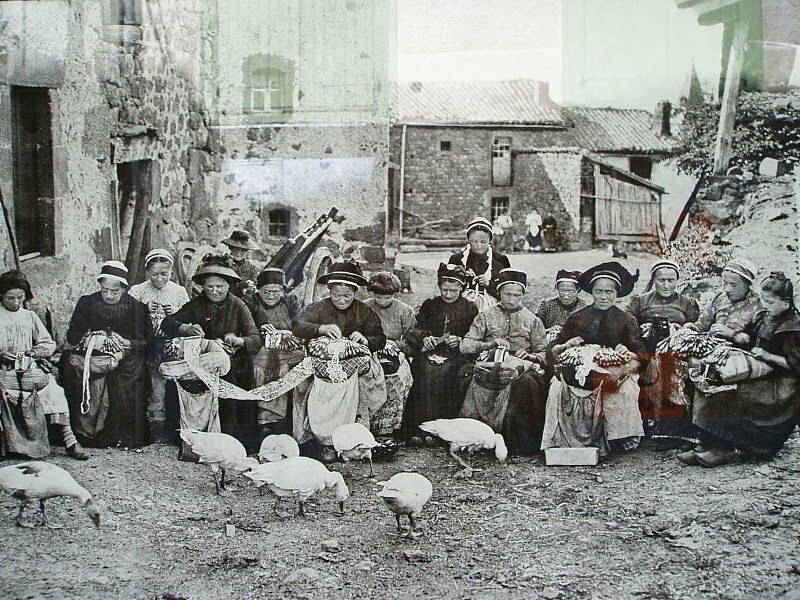 I presume they lined up outside for the photographer and didn't normally make lace in the poultry yard :-) Love the wooden clogs and their head-wear but just look at how many bobbins are on those pillows! I don't believe I'm contravening any copyright by posting this image here - but please contact me if there is a problem.